Oh, I guess I gotta watch NHK all day to get fed all their upcoming series — at least for January. We all knew that Kenichi Matsuyama would be doing this year’s Taiga (Time really does fly! ), but who knew Hikari Mitsushima (Love Exposure , Sawako Decides, Villain) is ending up on NHK? The story is set in the region formerly known as Manchuria and is based on the groups trying to resettle there in the years after the Manchurian Incident. The central characters are a family of four siblings who live there, but who are forced to flee due to the Soviet invasion of the region and Japan’s defeat in World War II. As a result, they return to Japan and attempt to forge a new life on a farm in the Tochigi prefecture. Kenichi Matsuyama looks so grown-up now… promoting his upcoming NHK Taiga, Taira no Kiyomori — all I know about Kiyomori I learned in Yoshitsune  haha. Anyway, as you know I was pretty pumped  for Gou and I defended Juri through it all , but I knew Gou’s fault. 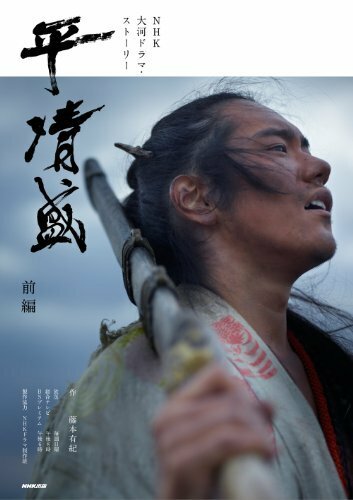 Anyway, I’m pretty pumped for Taira no Kiyomori, and this promo for it with a manly Kenichi Matsuyama is kinda… really inspiring haha. I kinda really love that photo. Any Peruvian of my generation has to have grown up with, at least, one Los Nosequien y los Nosecuantos song. Maybe not Cuando tu Me Pegas , but certainly Magdalena , Los Patos y Las Patas [MV] — and obviously Las Torres. Part political satire, part serious social commentary, part anthem, part pop hit, part party flare and full Peruvian rock — Las Torres, meaning The Towers (as in transmission towers), was a huge hit in its time and its the musical staple of the… maybe not defunct but definitely stale Los NSQ y Los NSC (for short). Long gone are the days of the constant nights without lights due to the blowing up of transmission towers, the curfews, being a kid then was… not the bomb. Cable, internet were non-existent and any form of entertainment was limited to just the couple of channels… and you were lucky to have a working TV. Anyway, I digress — the wordplay in Las Torres is an obvious play on the famous Un Elefante se Balanceaba (An Elephant Swinging) [here’s a clip] which I guess you don’t have in English version of… but a close version would be the Ninety-nine Bottles of Beer on the Wall song? In the Elephant Song, you would sing that “an elephant is swinging on top of a spider’s web, seeing as it lasted, it calls one elephant more” which makes the song endless. Anyway, here are the lyrics and translation of Going Crazy (미친 거니). I kinda like that this it backwards to the rap songs with the female vocals xD Going Crazy is a female vocal song with backing rap, which goes opposite to Eminem feat. Rihanna’s Love the Way You Lie [MV], or Vico C’s Me Acuerdo . I don’t think it’s a secret that I’ve watched Sunny a lot of times since I first saw it. However, besides catching me singing to Boney M’s Sunny  — which both my parents are also doing just because they caught it on the background and got stuck with the song. Actually, I’m lying – my dad has seen Sunny three times already. He loves it. Even better! There’s a wonderful old-school vs. Sunny version mash-up!